In between training and family life, my day job is as a veterinary surgeon. 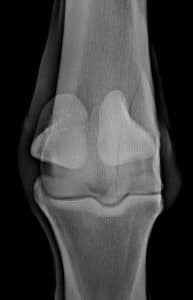 After graduating I spent a number of years undertaking further specialist training to become an equine surgeon. So now I work in Newmarket (for obvious reasons it’s a good place to work as a horse vet, and has the added benefit of the E2 within a 10 minute ride from home! ), in a dedicated equine referral hospital where I am one of the partners and owners of the business. The hospital has 40 vets working out of it, many serving the yards and studs in and around Newmarket. My work is all hospital based, consisting of mainly orthopaedic surgery during the daytime – arthroscopy (key hole surgery of joints), and fracture repair are the most common procedures. Part of the service vets need to provide provision for is 24/7 emergency cover, so every third night I’m on duty, and the most common emergencies are wounds and colic surgery. Fitting in training and racing around work and family life needs a bit of flexibility. I usually train in the evenings after work. When I’m on duty I still train so long as it stays quiet. Most weeks I get my sessions done, but it’s not uncommon to move sessions around when an emergency needs attending to. Probably the most difficult decision is when to just forget about a session – sometimes I’ll miss training because I’m in work late, then try and get up early the next morning to catch up – but the trade off is ending up tired and poorly recovered, and getting little benefit from slogging on through the session. 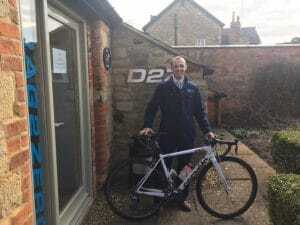 Last week I made it down to D2Z HQ to collect my new Scott Plasma – before I left for my visit I did hospital rounds in the morning and worked on a lame horse applying nerve blocks to determine where the lameness was. I arrived at D2Z in my work overalls, much to the amusement of everyone in the office! 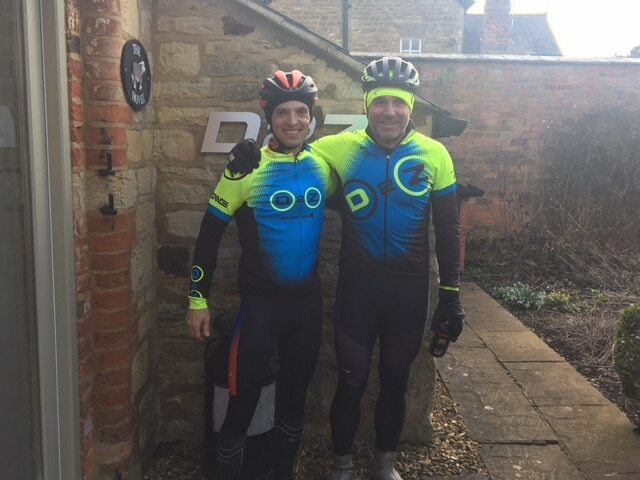 A quick change into some training kit and Simon and I managed to fit in a 2 hour ride in the sunny Northamptonshire countryside (yes it really was sunny!). 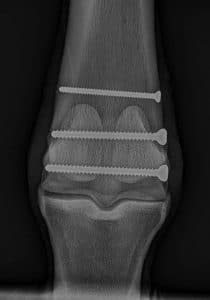 I made it back to Newmarket in time to operate on a race horse that had travelled down from Yorkshire – I repaired a condylar fracture in its fetlock. Fitting a training ride into my working day like that is not normal, but the rest of the day was pretty much par for the course. Really looking forward to this season and my first race for D2Z. Matt’s handy work! Looks like he raided our workshop before he left!